An experienced leader in Catholic secondary schools in New South Wales, Mrs Joyce Smith has been appointed the new Principal of La Salle Academy Lithgow, commencing in Term 1, 2017. Mrs Smith is currently Assistant Principal (Secondary Welfare) at St Catherine's Catholic College in Singleton, a K-12 coeducational school with over 800 students in the Diocese of Maitland. Mrs Smith has also held the Assistant Principal's job at two other Catholic coeducational secondary schools- St Joseph's High School in Aberdeen and All Saint's College in Maitland. 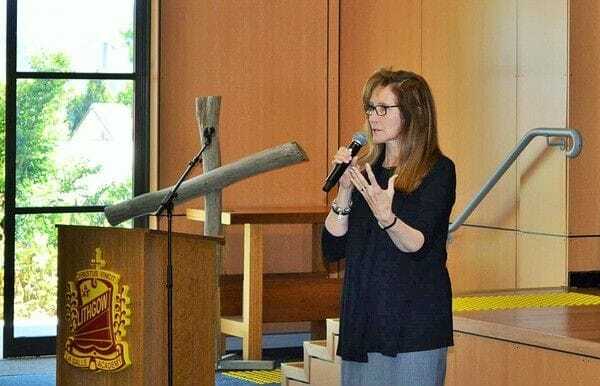 Joyce Smith brings with her extensive experience in professional development and curriculum planning for Catholic school staff which will be a great asset to La Salle Academy in Lithgow. The Lasallian Mission Council congratulates Mrs Smith on her new appointment and looks forward to working with her to promote the Lasallian charism at the school in the years ahead. Her appointment comes after the retirement in August of long-standing Principal, Mr John Emms who had worked in Catholic education for 40 years. Mrs Smith received a warm welcome at a whole school assembly this week, led by the two Acting Principals who have led La Salle Academy in Terms 3 and 4- Mr Vince Connor and Mr Paul Menday and Parish Administrator Fr Greg Bellamy (pictured above). 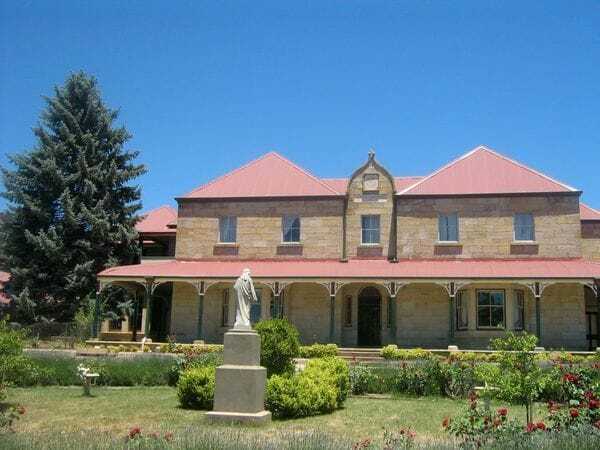 The Lasallians have had a strong, historic connection to the Lithgow area which stretches back to the 1950s when the De La Salle Brothers established a primary school in the area. The Sisters of St Joseph have also played a key role in the history of the school and students gain a deeper appreciation of both the Lasallian and Josephite charisms through the academy's religious education curriculum. The current coeducational secondary college opened its doors in 1968, initially as a junior secondary school, but it has grown to now enrol over 300 students across Years 7-12.